If you’re trying to make and perform meaningful music in 2018, you most likely have a lot to be frustrated about. 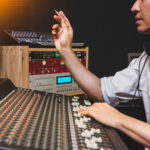 There’s been some notable bright spots in the music industry over the last few years, but between more people making more music than ever before and listeners shifting towards music streaming over buying albums, small artists continue to struggle. And even without concerns over how to make a living or just break even making music, songwriting and performing can be hugely difficult. But rather than showing your frustration, if you’ve got a respectful audience listening to you play, what you should be doing is reflecting your gratitude. Sure, you might have a few people at your shows who know and intimately care for you (parents, spouses, kids, etc. ), but most members of your audience just want to see and hear great music being performed. You might have every reason to bring frustration and hurt into your performances, but those sort of raw feelings don’t make for better shows. 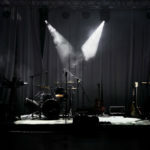 Making music and practicing are for you, but live performances are for your audience, so don’t take out any hurt feelings or frustrations you might have on them. 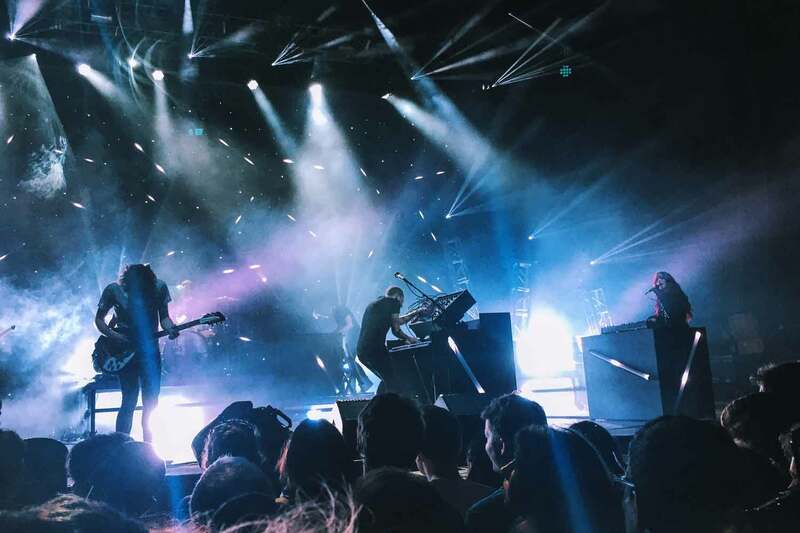 For touring bands especially, playing the same music night after night makes it difficult to view every show as a clean slate, but that’s exactly what you’ll need to do if you want to get the most out of your performances. Rather than giving in to the tedium and predictability of playing the same material over and over again, try having empathy for your audience. Put yourself in their shows and play your music in a way that imagines what it would be like to hear your songs for the very first time. If you’ve been performing the same set for a while, you’ll probably feel jaded, tired, and over it, but if you’ve got an audience willing to listen to you, then you owe them your very best. You should approach each of your performances with passion and curiosity because you never know who’ll be in the audience. Give your audience a mediocre performance, and you run the risk of blowing it in front of someone capable of helping to further your career in music. But even for shows that are filled with regular old concert-goers, making every performance a clean slate is vital in honoring the people who take the time to listen to you. Every one of your listeners should be important to you whether they’re from a thriving record label or if they’re a family friend. Learn to have respect for your audiences, and you’ll have a much easier time approaching each show with enthusiasm and seriousness. It’s true! …if you feel tired of your own music, then its time to not to gig for a while! Thanks for taking the time to write this. In reading your 2 blogs and playing for over 40 years, I found that passion is the best to develop. As a banjo player. We all know of Bela Fleck who has a passion for the instrument and took it with him for every concert. You don’t need to play every show the same to keep the audience with you. A drummer in the recording may have played it ta ta for a particular part but today decided to make it triplets. As long as you have a great beat that don’t throw off the others. Have fun. You can let the audience know that in advance that the songs we play tonight may not be the same as the recording but hope they will still be the songs you love.